Made from coarsely ground semolina. Pair it with stews, pasta sauce, or vegetables. 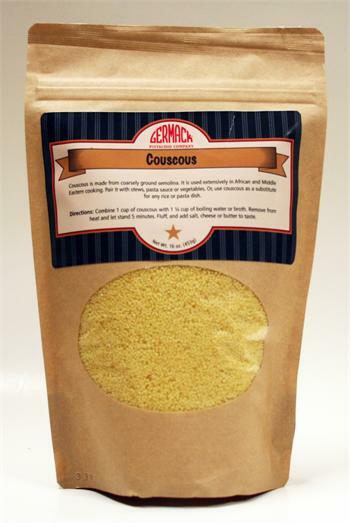 Use couscous as a substitute for any rice or pasta dish. This item is a two pack of 16 oz. bags. Packed in a kraft paper bag, stand-up, zip-top.